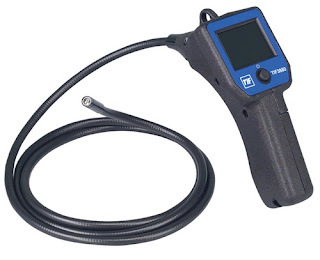 TIF 3880 brand new HVAC tester camera. Professional tool for inspecting ducts and spaces. Cool item, basically a camera and screen on a cord. I have one and it is very useful around the house as you can see into ducts, pipes, mole holes, etc. The screen is waterproof. This one is new in box.